Yoda’ Theme / Yoda and the Force – A melody that perfectly exemplifies the Jedi master to me. It’s filled with wonder and beauty, but also conveys the mystery of the Force, a perfect accompaniment as we learn more about a mystical new world when Yoda is teaching Luke on Dagobah. Han Solo and the Princess – It’s amazing that Han and Leia’s feelings towards each other could be established so strongly in just a few scenes, and with so much left unsaid. It’s a great contrast to the multiple forced scenes and cheesy dialog between Anakin and Padme in Episode II. Princess Leia’s Theme – John Williams really hits it out of the park with Leia’s Theme. The melody is beautiful and delicate, but noble and sad at the same time. Binary Sunset – This one and Tales of a Jedi Knight (below) are the classic “Luke’s theme” to me. I think it may be everyone’s favorite scene in Star Wars – Luke gazing out towards the double suns over the horizon. Tales of a Jedi Knight – Another part of the soundtrack that gives me chills. It’s where the mystery of the Force begins for us viewers. Rey’s Theme – The most memorable theme from The Force Awakens for me. 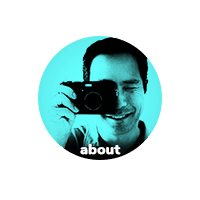 Starts small but builds wonderfully into a complex and soaring theme. Across the Stars – I think this is the only piece from the prequels that I thought was memorable (besides the standards). I think the melody is great… it’s too bad my memory is marred by the cheesy and forced romance scenes and dialog. The Rebel Fleet/End Title (Episode V) – This is my favorite of all the Star Wars themes/medleys. It’s because the end scene in Empire was so memorable and sad, but you can tell the movie is wrapping up. Then when it cuts to the credits and the triumphant theme kicks in… When I first saw it in the theaters, I was left thinking “Wow, that was the best movie ever!” It will always give me chills! 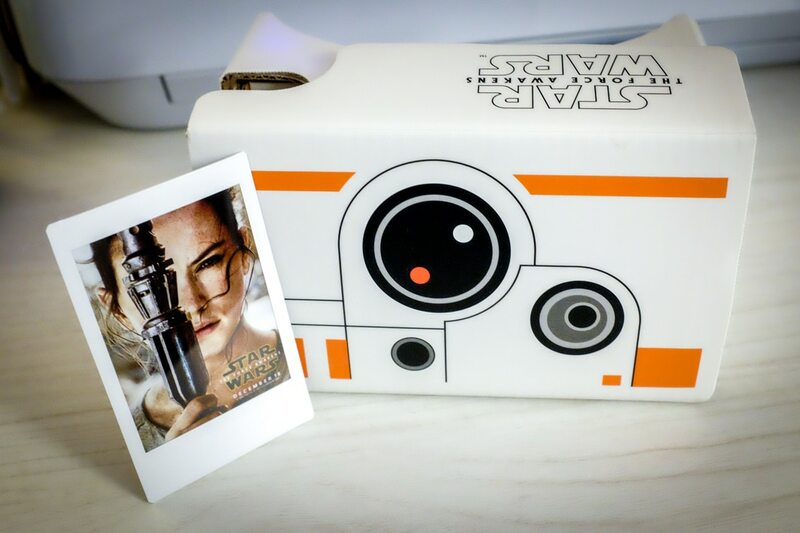 And here is a photo of an Instax pic of Rey and my BB-8 Google Cardboard. “Rey and BB-8” USA. Texas. Cedar Park. 2016.